Two individuals were seriously injured Friday during this collision on State Route 41 between Jeffersonville and South Solon. A medical helicopter arrived shortly after the accident to transport two to area hospital. 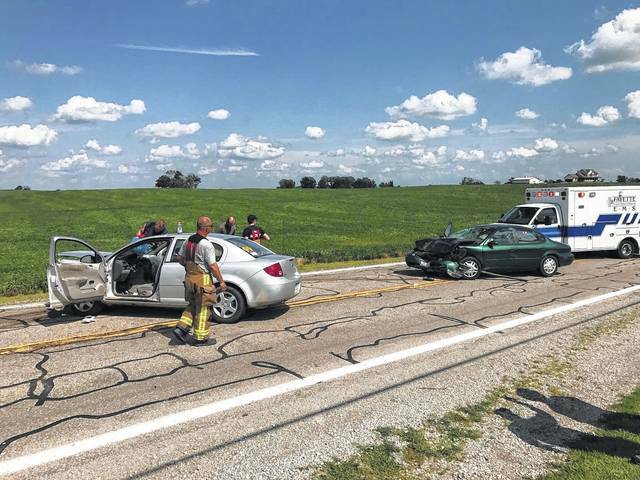 Two individuals were seriously injured Friday during a two-vehicle collision on State Route 41 between Jeffersonville and South Solon. Shortly after 5 p.m., Misti Conner of Covington, Ky. was driving her 2010 Hyundai north on State Route 41, according to the Fayette County Sheriff’s Office. As Conner was making a left turn into a private driveway, she drove in front of a 2005 Chevrolet, operated by Christopher Rittenhouse of South Solon, that was heading south. Rittenhouse reportedly swerved left to avoid the collision with Conner’s vehicle, but as he did, his vehicle struck a 1999 Ford that was traveling north on State Route 41. The Ford was being driven by Faith Kinney, of South Solon. Following the crash, Rittenhouse and a passenger of his vehicle were transported by medical helicopter to an area hospital for treatment. Their injuries were not considered life-threatening at the time of the crash, according to authorities. Kinney was transported to a local medical facility for treatment and Conner was uninjured. Conner was issued a citation for failure to yield while making a left turn. Traffic on State Route 41 between Jeffersonville and South Solon was rerouted until the crash site was cleared. https://www.recordherald.com/wp-content/uploads/sites/27/2017/07/web1_4BEEAD5D-.jpgTwo individuals were seriously injured Friday during this collision on State Route 41 between Jeffersonville and South Solon. 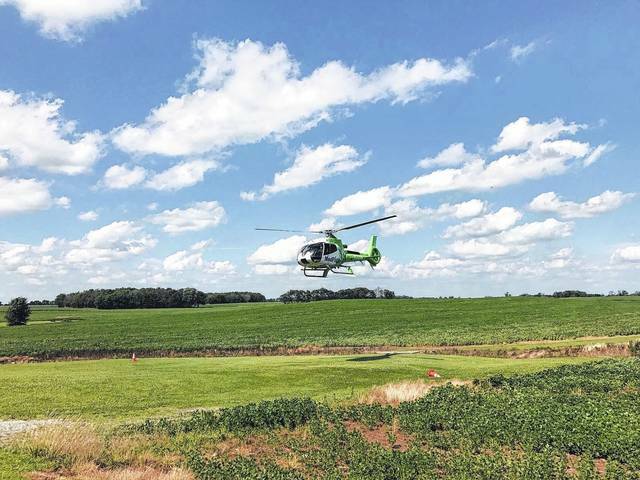 https://www.recordherald.com/wp-content/uploads/sites/27/2017/07/web1_06A19947-.jpgA medical helicopter arrived shortly after the accident to transport two to area hospital.